On a visit to the Swindon Railway Festival today (14 September 2013), I saw the stand of the 6024 Society and was reminded that my father photographed this locomotive on three occasions. 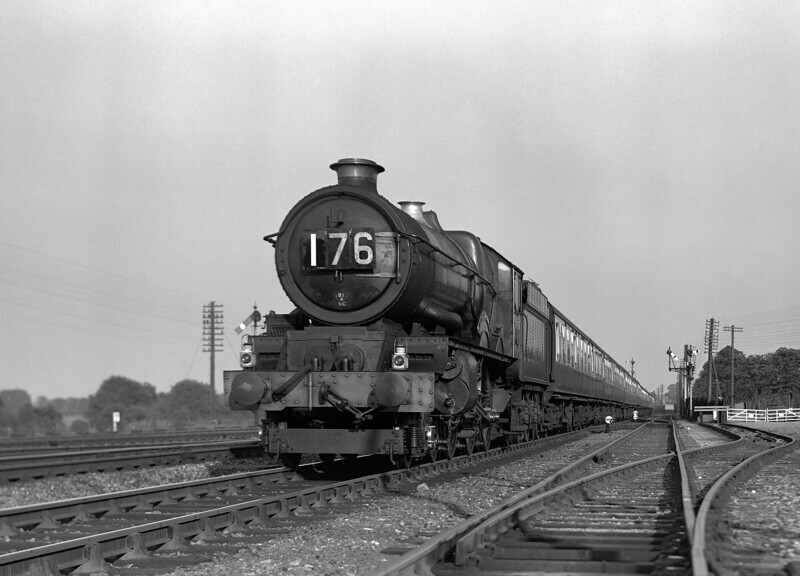 This is an image of 6024 King Edward I approaching Tilehurst with a down express. Given the train of BR Mk1 coaches it must be dated to the period 1956-57. It cannot be much later as the Adams Reflex on which this was taken was pensioned off around this time. The 6024 Society is working hard to raise funds for vital work on 6024 and would no doubt welcome any donations! Web-site http://www.6024.com.